Celebrate 55 Years Of Lang's! 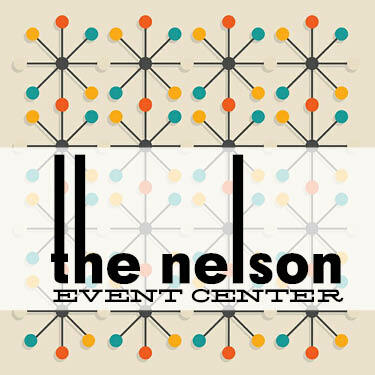 Thank you to all that celebrated our 55th Anniversary! 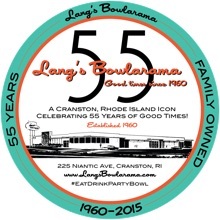 Throughout the year we celebrated our 55 year history as a Rhode Island Icon with a series of events culminating on Friday October 2, 55 years to the day the doors opened here at Lang's! We established the Ed Lang Memorial Scholarship Fund and held our first of many tournaments, raising over $2000 for some very deserving college-bound junior bowlers. We will continue to collect donations for the fund throughout the year! We also held our First Annual Car Show to Benefit the RI Community Food Bank, another event we hope to continue throughout the year. We were able to donate over $500 plus tons of non-perishable items to our neighbors at the Food Bank. The Anniversary Extravaganza, sponsored by Narragansett Beer, featured 2 time "Best Cover Band in RI" winners Run For Covers, who rocked the stage ON THE LANES! We got a citation from Mayor Fung's office, and showed a video detailing the rich history of Lang's, which you can view here. It was a great series of events, and we cannot express how grateful and proud we are to have been and continue to be a part of the Cranston, Rhode Island community. Cheers to 55 more years!